February is not the month that I usually yearn to be in Salt Lake City. Maybe if I were into skiing or snowboarding instead of genealogy, I would feel differently. We do own two weeks in a time share there. However, it is within a five minute walk from the Family History Library and somewhat distant from the slopes. Generally, I plan to be in Salt Lake for a week around Easter when the tulips are dazzling in Temple Square and another week in the late summer or early fall. A new conference may cause me to reassess my Salt Lake schedule. RootsTech Family History and Technology Conference will only be in its second year this February 2-4, 2012. The first rendition got rave reviews from everyone I have heard from who attended. The call for presentations for next year is already out. If you don’t know about this conference and you enjoy combining new technology with your family history research, you definitely should check it out. The second annual RootsTech Conference brings genealogy technology users and consumer technology creators together to learn, collaborate, and shape the future of family history. Genealogy technology users at this conference are progressive, forward-thinking, and early adopters of devices and tools that simplify family history research. Special emphasis will be placed on submissions that find ways for genealogy technology users and technology creators to work and interact together. Particular consideration will also be given to proposals that provide a hands-on or interactive experience, with presenters giving step-by-step approaches to using technology, software, hardware, algorithms, APIs, plug-ins, extensions, etc. You can see the quality and diversity of speakers who presented at the inaugural conference this past February. If you have never been to a genealogy conference in Salt Lake, I need to warn you to prepare for the guilt. If you attend all the sessions, you will feel guilty about ignoring all your ancestors who will be calling you from the Family History Library a couple of blocks away. If you go to the library, you will feel guilty about all the good presentations you are missing. My advice is to plan to stay a week and devote time to both learning and research. Next you can go to go to Ysearch. This is a site on a server operated by FTDNA. However, anyone who has tested at any lab can enter Y-chromosome results here. This is a site to find matches of between individuals who have tested at different labs. It is up to the individual to enter his results here. Although it is easy to automatically transfer results from FTDNA to Ysearch, do not assume that most of those tested have done so. Those tested at other labs must enter results manually. 1. 1. Select the “SEARCH BY LAST NAME” tab. 2. 2. Enter the surname of interest in the top search box. Note that you need to enter the words you see at the bottom of the page in the appropriate box to prevent data mining by automated programs. Some of the words given are seriously distorted and hard to make out. You may have to click on the reload button to the right of the box to request another set of words if you have difficulty reading those presented. 3. 3. Click on the “Search” button and wait patiently. If the “Search” button grays out, the program is searching. 4. 4. 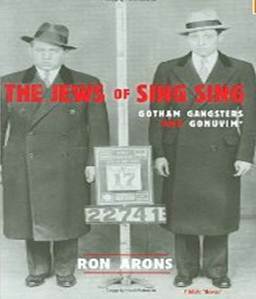 Carefully examine the spelling of surnames and origins. 5. 5. Click on the “User ID” for any entry that looks promising. Be sure to scroll to the bottom of the page. Often this will lead to notes that have been entered by the person who posted that entry. 6. 6. If the entry still looks promising, click on “Contact this user”. This will allow you to sent a blind email to the listing individual. Be sure to enter the code given in the bottom box below your message. 7. 7.Return to the results page you got after Step 3 above. See if any entry of interest has “Show” in the Pedigree column. This indicates that a GEDCOM file pedigree has been uploaded. If you do not see the desired surname, look for a red arrow on the right margin that is pointing to a continuation of the chart on another page. 8. 8. Actually, if you are interested in looking for surnames that are not on your direct paternal line you can return to the results page after Step 2 above. Click on the number in the box under “Pedigree” This will display all instances of your surname of interest in uploaded GEDCOMs no matter whether or not it is on the paternal line or not. Follow the procedure for either Step 5 or 7 above if appropriate. This will not take the place for actual testing. 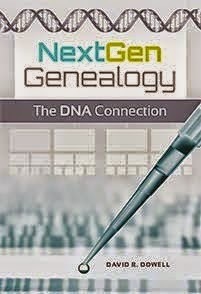 You will never be sure your paternal line is a direct connection unless you have test results from an individual to whom you know you are closely related. However, these steps will give you something to do during the weeks you are impatiently waiting for results to come back from the lab. You may be able to learn something about the Y-chromosome DNA of your paternal line even before you get test results back from the lab on yourself or an immediate male relative. There are at least two avenues for exploration before you (or a near male ancestor) submit a sample of your saliva to the lab. One source of information is shown below. Another will be posted soon. 1. Enter the surname of interest in the “Search Your Last Name” box in the upper right part of the page. 2. 2. Click in the most appropriate link(s) under “PROJECTS” on the left side of the page. 3. 3. Click on the “Website” in the upper left of the page. 4. 4. Click on the results link. This will probably be part of a banner across the top of the page but it may be in the left column or elsewhere depending on the “creativity” of the designer of the website. Hopefully this will lead to a Excel-like table that will include a column for “Most Distant Ancestor” or “Paternal Ancestor Name” as in the abbreviated table below. Click on the graphic to see the full chart. 5. 5. Also look on the first project page to see if pedigree lines of participants have been posted or linked. If you are fortunate enough to find an obvious match to your documented ancestral line, at a minimum you should be able to find a general haplogroup for your line. You may also discover some typical marker values for your ancestral line. Interpret this information with care because some of the actual marker values of men who descend from the same common ancestor will vary somewhat over the generations. You may also find some genealogical information as a bonus. You may also find a knowledgeable project coordinator who can be helpful to you. Part 2 of this series will be posted soon. Looking for online vital records? If your your answer is no, shame on you. 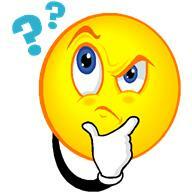 If it is yes, I have another question for you. Have you looked at Genealogy Roots Blog lately? If not it will be in your interest to do so. There have been several updates lately. I hope some of them are for an area in which you are searching. Labels: Research Sites, Vital Records. In this blog on May 4th, I reported on my first Y-chromosome match (a non-Dowell) using 111 markers for comparison. Now, results from two other Maryland Dowells are beginning to trickle in. One of them, Barry, is a 6th cousin-once removed and he was an exact 67 marker match with me. We are now exact 93 marker matches with 18 of his markers remaining to be reported. We hope those 18 are reported within the next week. 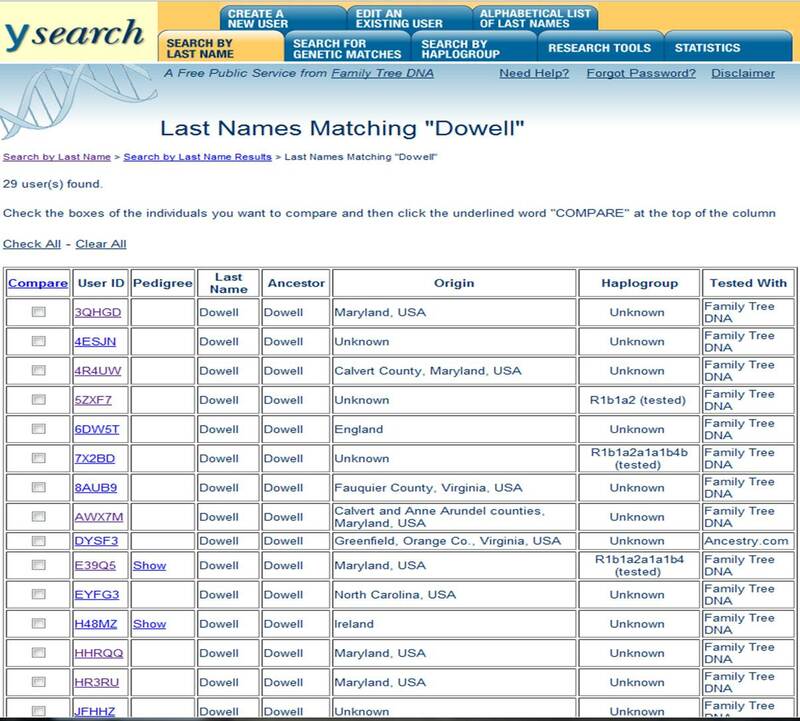 Another Dowell, Mark, a seventh cousin-once removed, also has the same additional 26 markers back and he agrees with Barry and me on these 26 newly reported markers. However, he differs with Barry and me on two markers over the first 67. Within the next few weeks we expect the remaining results for Barry and Mark and the complete 68-111 marker results for two other cousins. One of them, Ron, is a sixth cousin of mine and an exact 67 marker match so far with Barry and me. The other, George is a sixth cousin-once removed who is 63/67 match with Barry, Ron and me. 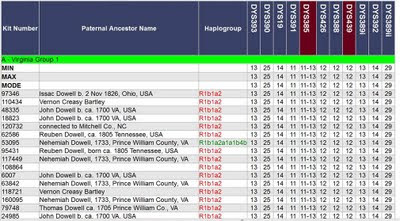 These additional results will allow us to triangulate the markers back to our earliest known Dowell ancestor who was Philip Dowell, Sr., who died in southern Maryland in 1733. Mark descends from Philip, Sr.’s first son Philip, Jr.
George descends from Philip, Sr.’s second son John. Ron, Barry and I descend from Philip, Sr.’s third son Peter. So far it appears that we can calculate Philip, Sr.’s first 93 markers. Four descendants of son Peter are exact 67 marker matches of each other. One descendant of son Philip, Sr., matches them on 66 of those 67 markers. Mark also shares that mismatch. However, on the marker on which the descendants of Philip, Jr., differ from the descendants of Peter, George and one other descendant of son John have the same marker value as do the descendants of Peter. So it would appear that the four descendants of Peter have not had any mutations over the generations down from Philip Dowell, Sr., on markers 1-67. There is unanimity on the values on markers 68-93 among Barry, Mark and me. Therefore, it appears that we now can reconstruct the values of the first 93 markers of Philip Dowell, Sr., who was buried in 1733. That's good because we don't know exactly where his body was buried. If you have followed all this, you really haven’t been paying close attention. I would appreciate any critique, correction, comment or question. You may have seen news reports last week that “Amazon's Kindle Book Sales Surpass Their Print Counterparts.” On May 19th, Matt Jarzemsky, Dow Jones Newswires, reported, “Amazon said Thursday that since April 1, it has sold 105 Kindle books for every 100 print books sold, including books for which there is no Kindle edition. Its sales of Kindle books so far this year have tripled from the like period in 2010, it said.” This is a significant milestone in the accelerating growth of e-publishing which Jarzemsky reported had reached sales of “$966 million last year and is expected to triple by 2015, according to Forrester Research” which measures online trends. However, according to publishing industry insiders, this report is accurate but somewhat misleading. Three caveats must be kept in mind. 1. Amazon is an online store and its customer base is more into the digital age than are the customers of some other book sellers. 2. Also, the Kindle book numbers include short length self-published books and books that are in the public domain. 3. Amazon does the comparison by units, not revenue and often sells ebooks for less than cost, in order to increase and retain market share. It is going to be very interesting to see how all of this sorts itself out in the next few years. Which distribution channels will survive? Which publishers will survive? What will happen to authors? Will books become more readily available? Grab a good book and stay tuned. 1. Corrigan Brothers original hit now has over a million hits on YouTube. 2. For Obama's visit to Moneygall they have created an updated version that weaves in some genealogical tidbits about the President and those who have researched his Irish great-great-great-grandfather. 3. A new longer version with an attempt at political satire is not yet as polished but may also be of interest. President Obama has certainly be good for the careers of the Corrigan Brothers. It remains to be seen if Irish ancestry will be good for Obama's career in 2012. DNA testing has now matured to the point that it is no longer a fad. It is another tool in the kit of a well prepared genealogist. I am often asked, “What DNA test should I take?” My response is, “What is your research hypothesis?” “What do you want to learn?” Choosing the wrong test or testing the wrong individual will lead to frustration. 1. Y-chromosome tests can be taken by MALES to investigate their PATERNAL line. 2. Mitochondrial tests can be taken by ANYONE to investigate their MATERNAL line. 3. Autosomal tests can be taken by ANYONE to investigate relatively close relationship—say within the last 3 or 4 generations. If you are having trouble documenting a relationship that falls within one of these three areas, a DNA test may be useful. Entry level tests are relatively inexpensive. They may exclude someone as a possible match; but they will not conclusively confirm a relationship. By entry level I am referring to a 12 or 25 marker Y-chromosome test or a mitochondrial test that only examines hyper variable regions 1 and 2. More extensive tests will be necessary to verify a relationship. Remember that the best person to test to answer your research question may be a carefully selected distant cousin. One’s DNA results, taken by themselves, are relatively meaningless. It is only as they are compared with the results of other individuals and/or large databases that the findings take on genealogical significance. So choose the test and who you test wisely. Test with a company that has a large database with which you can compare your results and offers good customer service when you have questions. For a more complete discussion of all this see Chapter 10: "Incorporating DNA Research" in my book Crash Course in Genealogy which is due out in the next month from Libraries Unlimited. 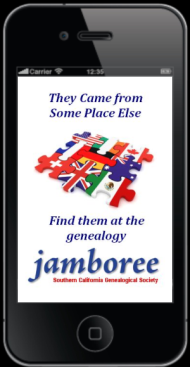 Jamboree of the Southern California Genealogical Society is the first conference I will have attended that offers the program as a phone app. The conference website says: "The Jamboree app is the first mobile phone application to keep you organized throughout the weekend. You can plan your schedule, find exhibitors, follow your favorite speakers, read tweets and blog posts and more. And it's FREE!" What I didn't realize at first is that this app has other uses. As you know many of the speakers at a conference like Jamboree, also speak at many other conferences. Last week while I was at the National Genealogical Society (NGS) in Charleston, I used this app to help decide which sessions to attend. No, NGS does not yet have such an app. However, when conflicting time slots offered a speaker who was also presenting at Jamboree and one who wasn't, the app helped me to decide which one to hear in Charleston and which I could defer until Jamboree. The app works well on my Blackberry. You may want to check it out whether or not you can attend Jamboree in Burbank next month. It will be a great learning opportunity. I hope to see you there. On Monday President Barack Obama will visit the ancestral homeland of his Irish ancestors. Did you know he was of Irish descent? Megan Smolenyak Smolenyak, who has helped document that part of his life, plans to be among the thousands on hand when he visits Moneygall in County Offaly, Ireland. Her Huffington Post article about how she was able to trace his Irish ancestor, Fulmoth Kearney, is interesting reading. As with many of our own ancestors, both Fulmouth's given name and surname endured many spelling variations. There is also an eight minute documentary by Gabriel Murray about Obama's Irish roots on YouTube. Murray notes that the Kennedy family departed Ireland 2 days before Barack's. This is another interesting twist of genealogical fate. Both Barack, "W" Bush and I share descent from a Plymouth Colony family. For more on this story search "Obama" in the box in the upper left corner of this blog page. Back to Ireland. An LATimes story from 2009, "Moneygall, Ireland: A village of Obama family-tree huggers," is interesting reading. The lively YouTube song mentioned in this article "There's no one as Irish as Barack OBama by the Corrigan Brothers" will help you learn the correct pronunciation of "Barack." Stay tuned for their sequel for next week's Presidential visit. Those of you who research genealogy will be interested to note the Obama's family records were traced down by a combination of technology (iPhone) and community action. The phone belonged to the parish priest and the records had been taken home by a parishioner for safekeeping. You never know where the record you need may be located. FamilySearch will announce tomorrow at the National Genealogical Society (NGS) Conference in Charleston, SC that it has recently published millions of records related to Civil War era ancestors. The text of this press release can be read on GeneaPress. These records have been added gradually to the publicly available records on the free FamilySearch website. A more complete list of recently added databases can be found online. These records are going to be of great value to many genealogists. It could be well worth your time to look at the complete list to see if any of these additions can assist you with your research. Instead of dragging out this post, I'm going to explore the list to see if any of these databases will assist my personal research. Happy researching! I have had my 111 marker Y-chromosome DNA results back from the lab for a couple of weeks. That was exciting but it was essentially meaningless. DNA test results for genealogical purposes only take on significance when there are others in the database with whom meaningful comparisons can be made. Last night I noticed that my first match was with Herb McDaniel. Herb and I have previously had matches at lower resolutions. We matched on 35 of 37 markers and 64 of 67 markers. Our new results show that we match on 102 of 111 markers. What does this mean? Are we now shown to be more or less likely to have a common male ancestor within genealogical time? Genealogical time is defined as the era in which most individuals have had surnames. Both Herb and I have solid paper trails of our respective paternal lines that go back 8 generations. Also both of us have been able to triangulate our first 67 markers of our Y-chromosome DNA enough to be reasonably confident that each of us exactly matches those markers of our 5th or 6th great-grandfathers. This knowledge allows us to make a slight adjustment in the information provided by FTDNATiP™ which is employed by Family Tree DNA to create probabilities of a shared common ancestor within the last so many generations. In our case we believe that Herb's paternal McDaniel ancestor and my paternal Dowell ancestor were exactly as many markers apart eight generations ago as Herb and I are today. Well we believed this prior to getting the results back on markers 68 to 111. Only time will tell if we can further refine our thinking based on these latest results. Below are four different columns probabilities that Herb and I share a common male ancestor. Each of them are listed in this table at 4 generation intervals. However, they could easily be displayed for every generation. Again, based on a combination of paper and DNA research, we do not believe we are related within the last 8 generations. In general the addition of markers 68 to 111 appear to strengthen the probabilities that we share a common male ancestor over all the intervals but particularly after 10 to 12 generations. * "The FTDNATiP™ results are based on the mutation rate study presented during the 1st International Conference on Genetic Genealogy, on Oct. 30, 2004. The above probabilities take into consideration the mutation rates for each individual marker being compared." As you know Listservs exist on almost any imaginable topic. While blogs generally have a single author, Listservs spread the joy of authorship around. Any member of a list can post on topics within the scope of that particular list. As with blogs, some genealogical lists are general, but most have a particular niche. One with which you should become familiar is Genealib. The welcoming message to new members describes its scope: “This list is intended as a communications tool for the benefit of genealogy librarians. We encourage postings by practicing librarians, retired librarians, vendors, and others who have contributions that can assist practicing genealogy librarians in the performance of their duties.” To subscribe, send an e-mail to lyris@lists.acomp.usf.edu with the following (without the quotation marks) in the body of the message “subscribe genealib your_full_name.” Even if you don’t think you are ready to start posting, you can learn a lot as a lurker. Also in parallel with lists of blogs, there are lists of lists. RootsWeb.com hosts many of these lists. The two big categories are surname lists and locality lists. You certainly should find out if there is such a list covering the area in which your library is located. 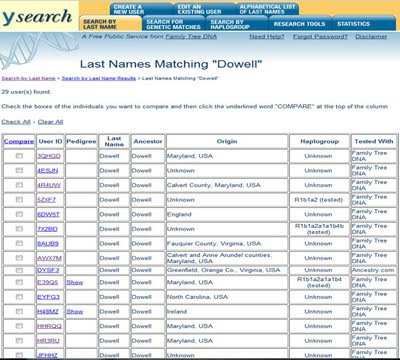 To find out if there is already such a list, RootsWeb hosts a list search engine at http://bigfile.rootsweb.ancestry.com/cgi-bin/listsearch. Generally, you will want to enter your local county. However, you will get responses that include lists for surnames that are common in your location. The search engine is good for recall and not as good for precision. However, precision can be improved by grouping search terms with quotation marks. Lists on RootsWeb can be experienced in at least three ways. The more conventional way is to subscribe and receive posts directly in your mailbox as they are posted. This would be your choice if you are actively involved in ongoing discussions. However, if you are primarily lurking, you may choose to receive the messages in batch (digest) mode and minimize the number of interruptions that may result daily on busy lists. A third option is to not subscribe at all but to occasionally visit the archives of the list to browse or to search for a specific topic. I’ll try to address her question about exploring legends about Native American ancestors in a future post.